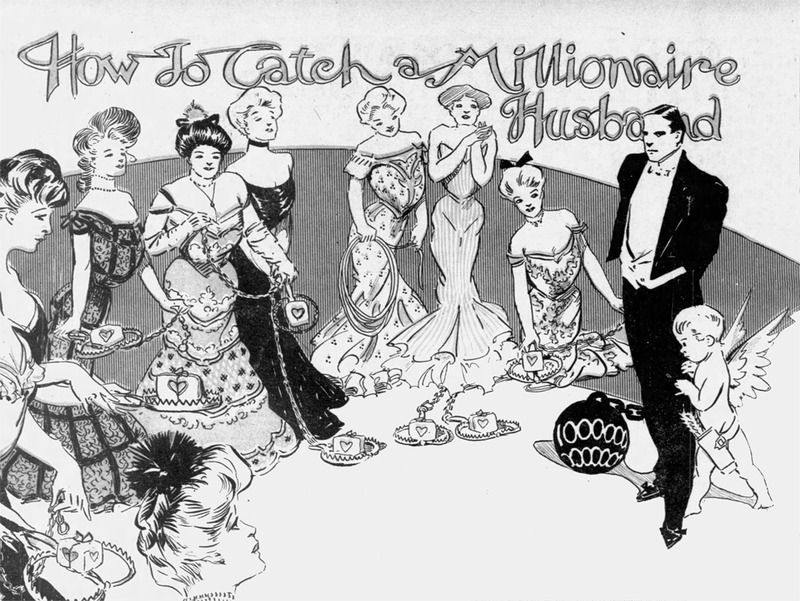 On September 25, 1904, the “Chicago Tribune” printed an article entitled “How to Catch a Millionaire Husband.” It featured women who had made “brilliant” matches to some of the wealthiest and most prominent men of the time. With its strong use of graphics and gossipy style of writing, the article foreshadows the modern-day “listicle.” With that in mind, we’ve gone ahead and updated the format (but not the content) for your reading pleasure. Be little and look small and frail like May Goelet, and a big burly duke will fall in love with your daintiness. Be always well groomed like Mrs. John Jacob Astor. She impresses one as being a lady all the way through with her distinguished bearing, reservation, and refinement. “She is so fit!” They will say. Don’t be hoity-toity. Such girls will do to flirt with, but will not do to marry. Have the “sweet ways” of Mrs. Vanderbilt. Her manner is dainty and she looks more like the refined sweet young woman of the household than the grande dame of society. Talent and intellect are paramount. The list of millionaires wives includes poets, writers, painters, authorities on orchids and rare tropical plants, tapestry experts, musicians, and polymaths.